Last week in Why are We Fat? Part 1, we debunked the myth that eating saturated fat and cholesterol contribute to heart disease or obesity, and pointed to one of the little-known true culprits in America’s health epidemics: corn, soybean and Canola oils. Polyunsaturated oils severely disrupt a healthy balance of Omega-6 to Omega-3 oils in our body, leading to many health problems. But, they are not the only factor in heart disease, cancer, diabetes and obesity. We’ll look at the second culprit this week: Carbohydrates. Carbs are one of the main sources of fuel for the body. The trick is to choose the right kinds of carbs and, of course, eat a reasonable amount of them. Simple carbs such as candy, sodas and juice are quickly digested and can be used immediately for energy. However, they also spike blood glucose levels, which inevitably leads to a crash when your blood sugar drops. Complex carbs take longer to digest and come from things like whole grain products, vegetables, and fruits. They are slowly released into the body, unlike simple carbs, so you don’t get that sugar rush followed by the painful sugar crash. Complex carbs are almost always the best choice because they provide both energy and lots of vitamins and minerals. Regardless of the type of carbs you eat, all are treated the same way in your body—they are all broken down into sugars during digestion. This means that all sugars are carbohydrate and all carbohydrates are sugar. They’re two different words for the same thing. Although complex carbs have more vitamins and minerals than simple carbs, from an energy standpoint, there is NO difference between simple and complex carbohydrates to your body. It doesn’t matter whether the carbs are from soda, candy, bread, brown rice, fruit, or vegetables—it all ends up as glycogen in your bloodstream, which, unless burned, gets stored away as fat. Unlike fat and protein, you will never find a minimum daily requirement for carbohydrates. The shocking fact is: you don’t need ANY! Absolutely ALL the carbohydrates your body needs can be derived by your body from digested fats and proteins—your body is an amazing molecular assembly factory. Virtually the entire evolution of mankind occurred when our ancestors were hunter-gatherers, well before the inventions of agriculture and animal husbandry. These people had scarcely any access to animal milk, cereal grains, sugar, and sweet fruits. They ate almost exclusively lean meat and fish, plus small amounts of leafy and other low carbohydrate vegetables and seasonal wild fruit and honey. Some humans, such as Eskimos, consumed only fat and protein. Our pre-agriculture ancestors frequently had violent deaths, but no heart disease, no cancer, no tooth decay, and no obesity or diabetes. Yet despite this history, for years, dietary experts have pointed at fat—especially saturated fat—as the root of all obesity. As it turns out, cutting the fat has not solved the problem. Millions of people who have diligently reduced their fat intake are still, well, fat—which has left experts looking for other possible factors besides fat. As we come to understand more and more about nutrition, and look to the health of both our ancestors and today’s traditional peoples, experts have learned that the real culprit turned out to be right under their very noses as they filled their bowls with cereal and sweetened their morning coffee. Carbs—not fat—increase body fat and weight. Here’s how: A short time after a carb-rich meal, the glucose in your bloodstream rises rapidly, and your pancreas compensates for this surge by secreting insulin into your bloodstream, which lowers your blood sugar. Insulin takes glucose out of the bloodstream where it is converted first into a starch called glycogen, which is stored in the liver and in muscles. But the body can store only a limited amount of glycogen, so the excess glucose is stored as body fat. This is the process of putting on weight. Increased insulin levels will also suppress two other important hormones—glucagon and growth hormone—which are responsible for burning fat and sugar and promoting muscle growth. When your blood glucose level returns to normal, after about 90 minutes, the insulin level in your bloodstream is still near maximum. As a result, the insulin continues to stack glucose away in the form of fat, thereby increasing your risk of obesity, bloating, depression, fatigue, frequent sleepiness, and almost all chronic degenerative diseases. Ultimately, the level of glucose in your blood falls below normal, and you feel hungry again. 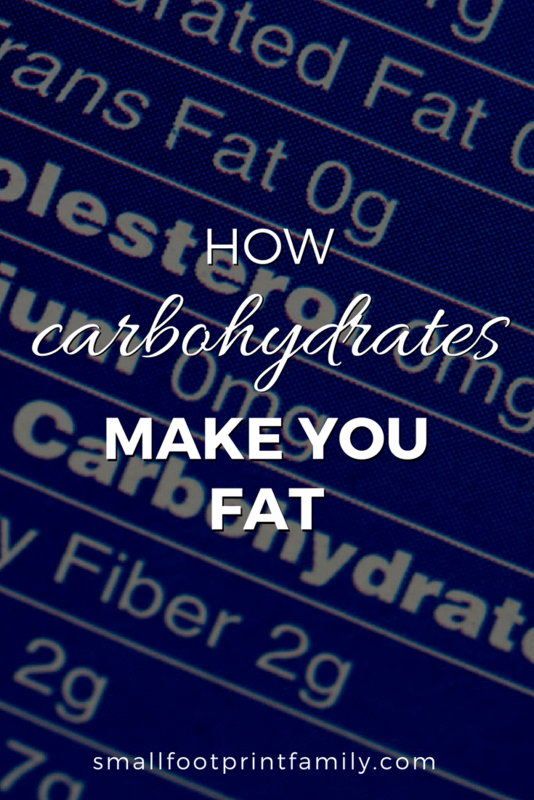 So you have a snack of more carbohydrates, and the whole process starts over again. You’re getting fatter, but feeling hungry at the same time. Insulin resistance caused by continually high insulin levels in your bloodstream impairs your ability to feel sated after a meal. You enter a vicious cycle of continuous weight gain combined with hunger. Under such circumstances, it is almost impossible not to overeat. As little as 100 years ago, it is estimated that Americans ate around one pound of sugar a year. But today, whether from soda, cereal, pasta, breads or other carbohydrates, Americans each eat the equivalent of 22 teaspoons of sugar each and every day, adding up to about 156 pounds of sugar per person, per year. And teens can eat as much as 34 teaspoons of sugar a day! Imagine it: 31 five-pound bags of sugar for each of us, every year. According to Rachel K. Johnson, lead author of a paper published Monday in the American Heart Association (AHA) journal Circulation, too much sugar not only makes Americans fat but also is a key culprit in diabetes, high blood pressure, heart disease and stroke. Sugar raises blood sugar, reduces HDL cholesterol (the “good” kind), skyrockets triglycerides, triggers abnormal insulin surges, and makes us hungry. It also converts the less-harmful large LDL particles to the much more harmful small LDL particles. The AHA report goes on to recommend that most women should be getting no more than 6 teaspoons a day, or 100 calories, of added sugar—the sweeteners and syrups that are added to foods during processing, preparation or at the table. For most men, the recommended limit is 9 teaspoons, or 150 calories, the heart group says. Unfortunately, reducing your sugar intake isn’t as easy as it seems. You’d be surprised at just how much hidden sugar they put in some food products. Depending on what you typically buy at the grocery store, you could end up staying well below the Heart Association’s recommended 10 percent or vastly exceeding it. That’s not to say that we get most of the sugar in our diets directly from the sugar bowl. Only about 29 pounds of it comes as table sugar, or sucrose, according to The Sugar Association, a trade group of sugar manufacturers. The rest is added to our foods. Of course, those foods include things like candy, soda, and fast food. But plenty of sugar is hiding in places where you might not expect it. Some types of crackers, yogurt, ketchup, and peanut butter, for instance, are loaded with sugar—often in the form of high-fructose corn syrup, or HFCS. Use of this sweetener has increased 3.5% per year in the last decade, according to the World Health Organization (WHO). That’s twice the rate at which the use of refined sugar has grown. Where is all that sugar going? According to the USDA, sodas account for 33% of all added sugars consumed, and sweetened fruit drinks account for another 10% of the total. A whopping 26% of added sugars comes from a variety of prepared foods like ketchup, crackers, spaghetti sauce, salad dressings, canned vegetables and fruits, and peanut butter. Candy and cake come in at 5% each. Ready-to-eat cereal comprises 4% of the total as does table sugar and honey; cookies and brownies; and syrups and toppings. Humans naturally like sweet things, and by putting more sugar into our foods—even foods that traditionally don’t contain it—food manufacturers can make more money selling more of it to us, even if eating all that sugar comes at the expense of our health. There are a number of ways to view the blood sugar-raising or insulin-provoking effect of foods. One way is glycemic index (GI), which is simply a measure of how high blood sugar is raised by a standard quantity of a food compared to table sugar. Another is glycemic load (GL), which measures how fast a carbohydrate will actually be converted into sugar. Refined table sugar (sucrose) has a GI of 65, a GL of 65. In other words, a GI or GL of 65 is sufficient to generate the cascade of undesirable blood effects. The GI of Rice Krispies cereal (“organic” or not) is 82—higher than table sugar. GL is 72, also higher. How about Corn Flakes? GI 81, GL 70, also both higher than sugar. How about rice cakes that many dieters will use to quell hunger? GI 78, GL 64. How about whole-grain Shredded Wheat cereal? GI 75, GL 62. All of the above foods with GI’s and GL’s that match or exceed that of table sugar are made with wheat, cornstarch, or rice starch. Some, like Shredded Wheat cereal and rice cakes, are “whole-grain” and don’t even have any added sugar! The blood sugar-raising, appetite-increasing, and cholesterol-distorting effects are, in the absence of added sugar, due to the wheat, cornstarch, or rice starch alone. Some foods like this even bear “heart healthy” claims! So not only are Americans getting a lot of sugar from all the high fructose corn syrup and other sweeteners added to our diet, but we are also getting it from eating too much cereal, pasta, bread and other grain-based carbohydrates. With the USDA recommending we make 11 servings of these types of fat-inducing, heart-hurting carbs the very foundation of our diet, it’s no wonder Americans are getting so fat and so sick. Reduce the amount of nutritionally-empty starches and sugars in your diet, and make up the difference with another fuel: Fat. This approach has two advantages: First, you don’t have to go hungry. Second, by feeding your body on healthy fats like butter and olive oil, your body will naturally begin using its own stored fat as energy. 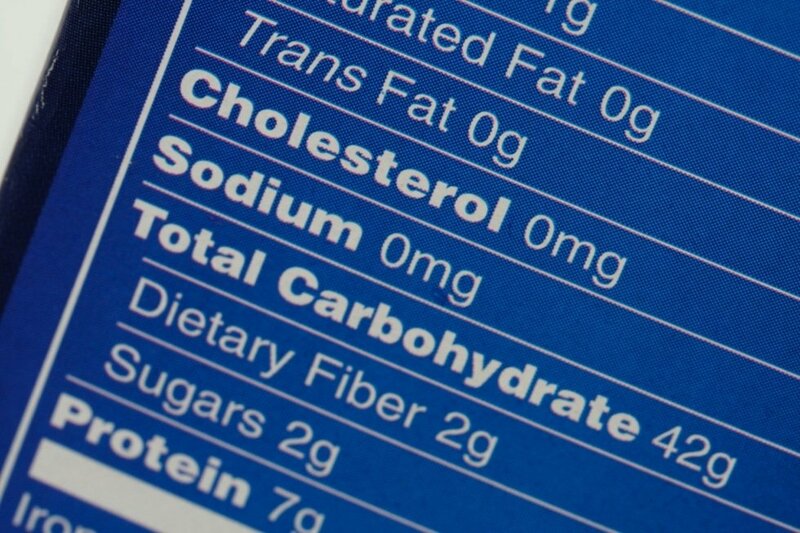 Read food labels carefully. Ingredients are listed in order of volume, so anything with sugar, corn syrup, glucose, dextrose, maltose, sucrose, fructose, lactose, corn syrup or evaporated cane juice near the top of the list is high in sugar. Avoid processed and packaged foods as much as you can—especially sodas and other sweetened beverages. Saturated Fat is Good For You – an article on how saturated fat and low carbs can prevent and reverse diabetes. This is a well-written article and I agree with much of what you say. However it is an over-simplification of how the body works to say that all carbohydrates are dealt with in your body exactly the same way. That would be true if we ate only one molecule at a time, but we are human and do not eat like that. The context of what we eat and how we eat it makes a huge difference in how our bodies deal with exactly the same foods. For more on this see my guest post at MizFit When is a calorie not a calorie. You may also be interested in a new study that came out about how low-carb diets increase atherosclerosis despite lowering weight and no changes in cholesterol. I’m not trying to be snarky and I agree that sugar and processed carbohydrates are pretty much the worst things you can eat. But it makes me nervous when facts are oversimplified as broad generalizations. Thanks for your comment Darya. My point is to emphasize that grain-based foods–even “whole grain” foods–are eaten to excess in the Standard American Diet, leading to high rates of chronic disease and obesity. The large amount of pasta, bread, cereal and rice we eat is only slightly better than all the added sugar in our diet, and yet most people think these foods are healthy and important. One should always eat a lot of vegetables and fruits, which not only provide carbohydrate energy, but also fiber, vitamins and minerals in quantities far greater than that available in grains. And if one eats grains, it is important to get them whole and prepare them properly (by soaking and sprouting, fermenting, etc.) so that their phytates are neutralized and you can get the most out of them nutritionally. Also, what about fiber? I thought most people don’t get enough fiber in their diets because animal products don’t contain it at all. Your learning journey has been fascinating! Alan, In terms of energy, there is no difference between a bag of Skittles or a bowl of brown rice. Both end up as glycogen. However, nutritionally, they are very different. Skittles are, obviously, empty calories. But you would do better to eat a bowl of spinach than a bowl of brown rice. Both contain carb energy, but the spinach is significantly more nutrient dense. A cup of rice has 3.5g of fiber, whereas a cup of spinach has 4g, plus far more vitamins and minerals than the rice. Nevertheless, there is a growing school of thought that doesn’t believe that we really need dietary fiber. See this link for a glimpse of this idea. For me, the jury is still out on fiber. Processed carbs from the grocery store like boxed cereal, pasta and bread are like Skittles without the artificial colors because they have been processed, which strips out any nutrition they might have had. Sometimes these products are then fortified, but synthetic vitamins are very poorly absorbed and utilized by the body. Whole grain cereal crops are devoid of vitamin C and beta carotene (except for yellow maize). They have poorly absorbable vitamin B6, and the phytate levels in grains impairs the absorption of most minerals, especially zinc and calcium. Whole grains have also been implicated in blocking the utilization of Vitamin D, though the mechanism for this is not yet known. Additionally, they contain low levels of essential fats and have quite high omega 6/omega 3 fatty acid ratios. Excessive consumption of cereal grains are associated with a wide variety of health problems. It is processed grain carbs that are eaten far too often (USDA recommends 6-11 servings a day!!! ), in combination with all the added sugar and Omega-6 yellow seed oils in the Standard American Diet that is making us all fat and sluggish. The best carbs are whole vegetables and fruits, which humans have enjoyed without problem for as long as we have existed. Second choice would be a moderate amount of whole grains that haven’t been processed much, like brown rice, soaked and sprouted wheat berries (that you perhaps grind into flour yourself), whole oats soaked in whey to remove the phytates, etc.